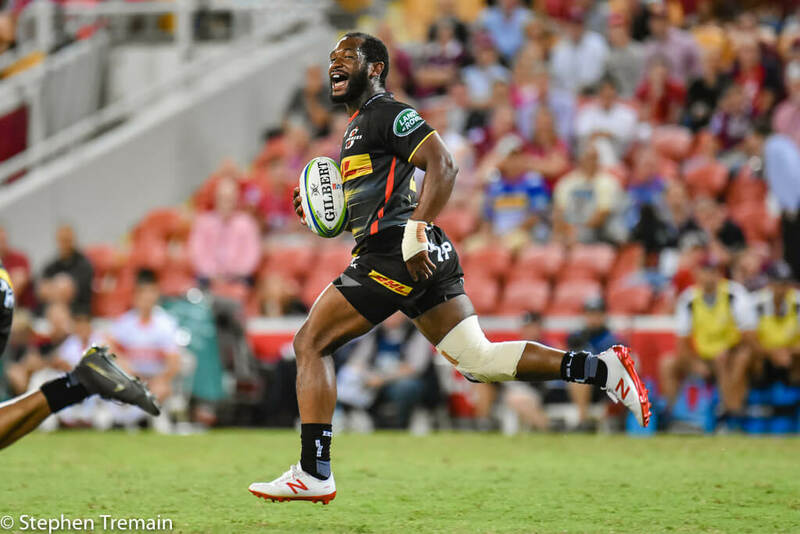 After an uninspiring performance against an impressive Rebels outfit last weekend, the Reds hosted the Stormers at Suncorp Stadium. 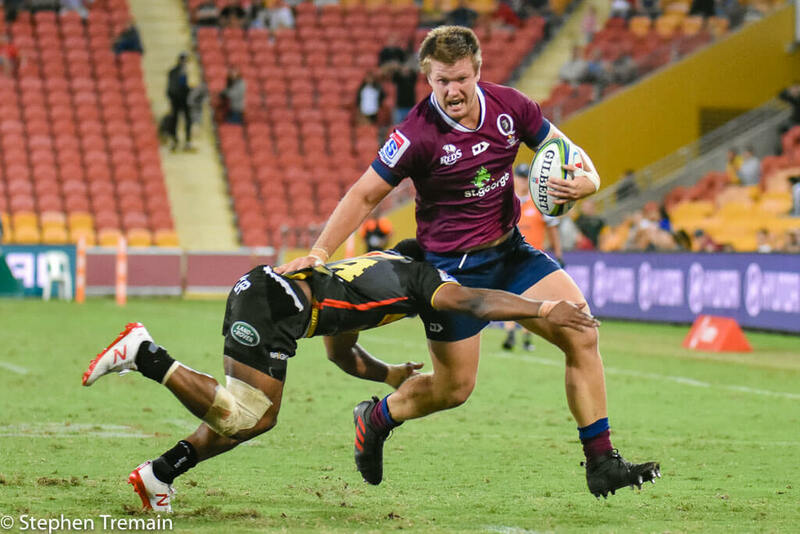 It would be their first taste of a South African side and serve a vital entree to their impending two match tour to the Republic to take on the Bulls and the Sharks. For the Stormers the match would be the penultimate match on a tour that has seen them suffer losses to the Hurricanes and the Blues. 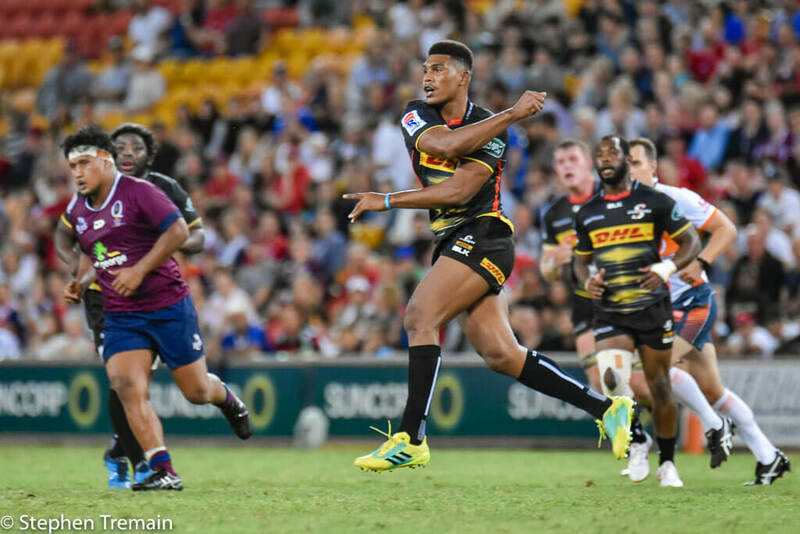 With both teams sitting second bottom in their respective pools, the Stormers with an extra win up their sleeve, a win was vital for both teams. After the hustle and bustle that was the end of the Hurricanes v Highlanders match, this game was a little more subdued. Neither team was able to ignite their attack. The Stormers at least were insisting on a ball in hand approach which may have paid off if wasn’t for their poor handling. 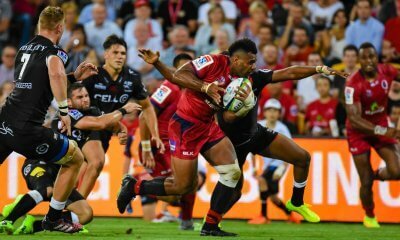 The Reds relied on the more slow and sure approach, utilising their solid set piece, their boot and the ill-discipline of the Stormers. The first real try scoring opportunity came the Stormers way when Filipo Daugunu spilled a straight forward kick. The Stomers looked wide and Dillyn Leyds put in a lovely weighted kick which looked like Damian Willemse had managed to regather and score. Replays showed his efforts would go unrewarded as the ball was placed on the deadball line. 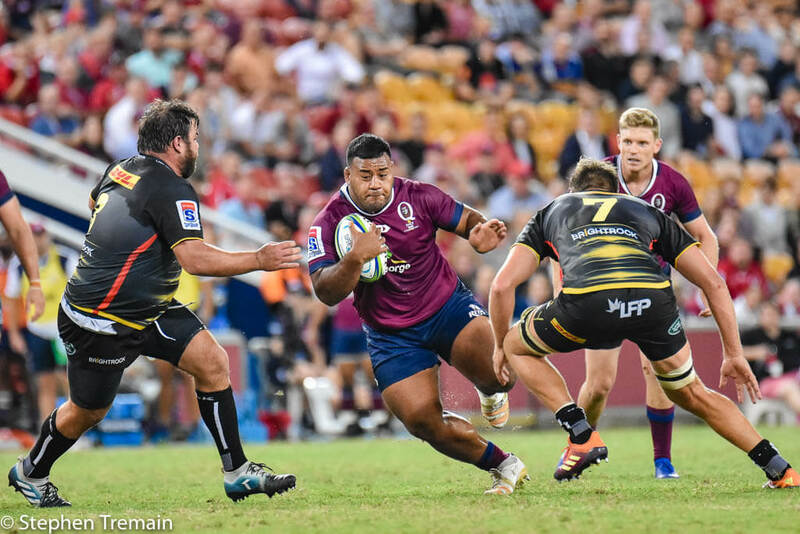 Duagunu was pulled immediately, with the dropped ball seemingly evidence enough that the wrist injury he suffered in the first minutes of the game, was not fit for play. The experiment with Naivalu was over already with Paia’aua on and Kerevi back to 13. It was a rough start to Jack Hardy, having given Willemse the early opportunity. He gave his opposite number, Sergeal Petersen, just an inch too much space and he took it and, again, looked over in the corner. Just enough pressure from fullback Hamish Stewart in cover saw Petersen’s foot go into touch and the Reds were off the hook again. But under threat. 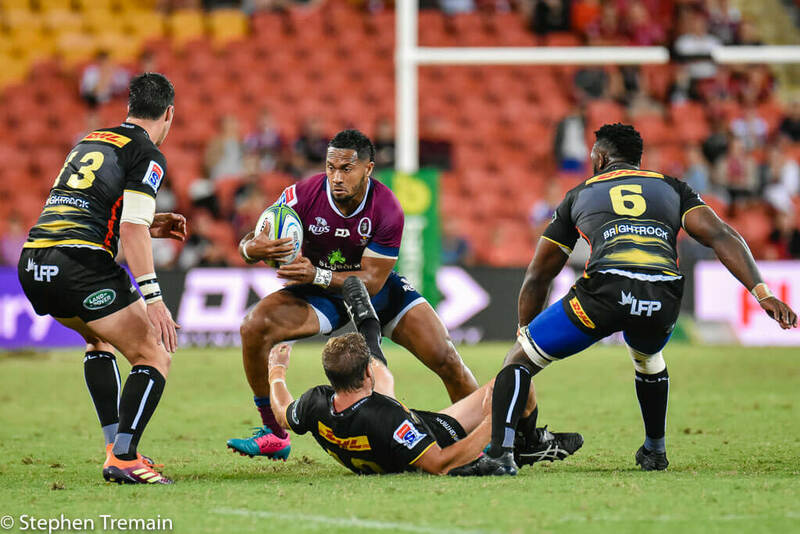 While the Stormers were using the width of the field in attack, the Reds were targeting their props in the backline and putting them under pressure with rush defence. And it paid off with a couple of turnovers. The Reds were relying, meanwhile, on the spark of Tate McDermott around the base and his linking with the likes of Lukhan Salakai-Loto as a battering ram. I struggled to find much more to write about for the rest of the half frankly as both teams did their best to foil point scoring opportunities. The Reds were over reliant on their scrum and rolling maul, and any ball they did get was foiled by inaccurate passing. 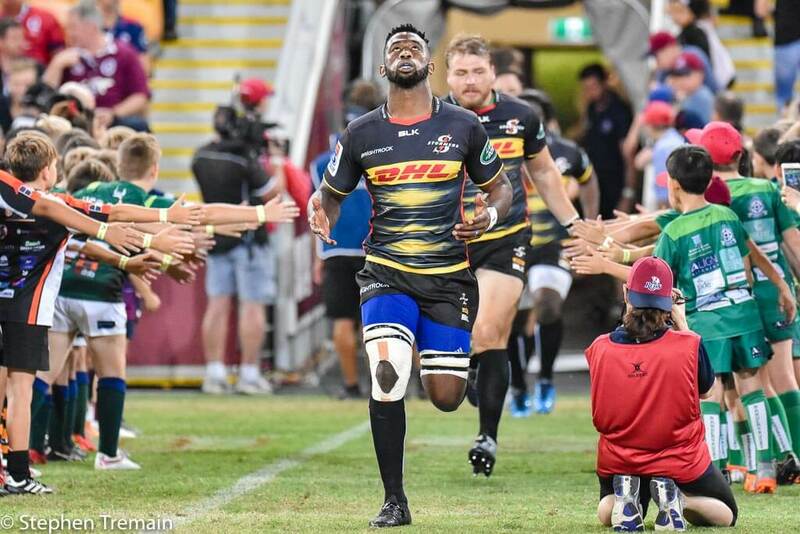 When Stormers skipper Siya Kolisi was yellow carded with just seconds to go in the half, it at least gave the Reds something to look forward in the second half. The Stormers went wide consistently, to no avail in the first half. The patience of the viewers was rewarded very early in the 2nd half when another Stormers penalty enabled good position for the Reds. 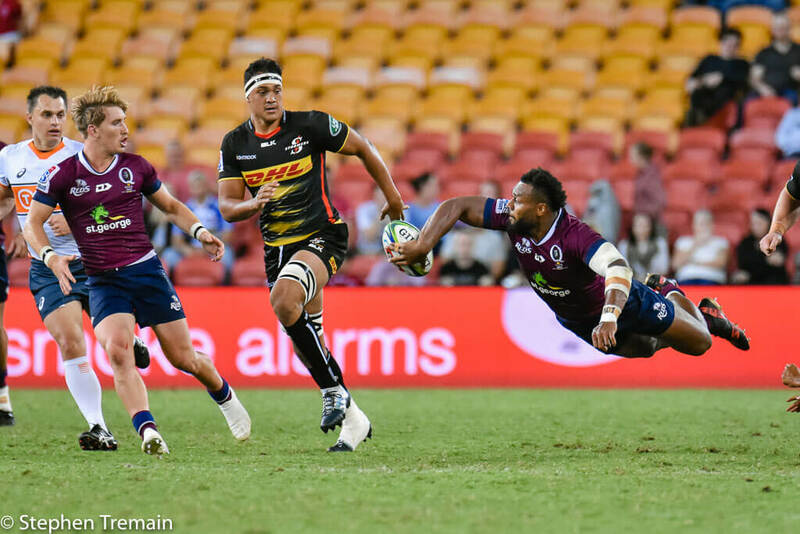 When Samu Kerevi saw space outside, his improved distribution skills delivered a lovely pass out to Naivalu who returned the favour at the last line of defence for his skipper to stroll over under the posts. Reds up 7-0. Kerevi was inserting himself into the match and beginning to find space almost at will. Unfortunately a couple of last passes were loose and denied the Reds in strong attacking positions. 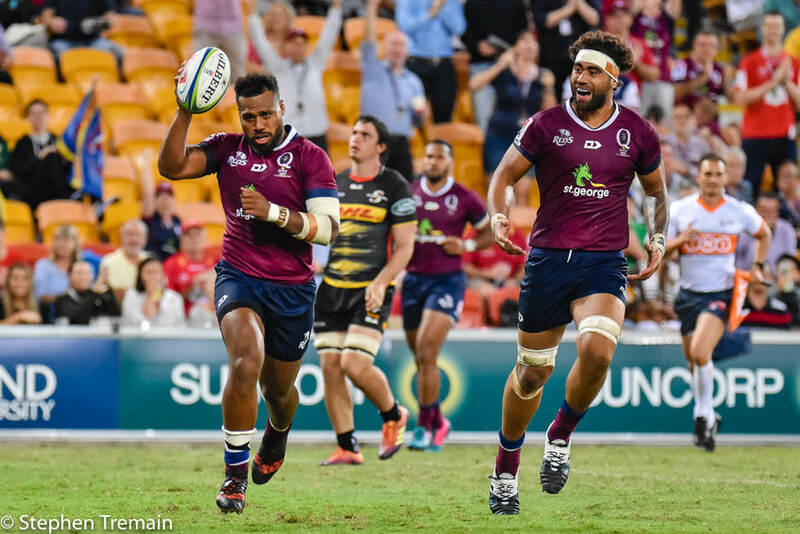 Perhaps he was at risk at overplaying his hand as, on another occasion, he opted to back himself rather than passing to Naivalu who had space to test his title as the fasted man in Australian rugby. It seemed as though Captain Kolisi had got his team back into the match as the game entered its last ten minutes. 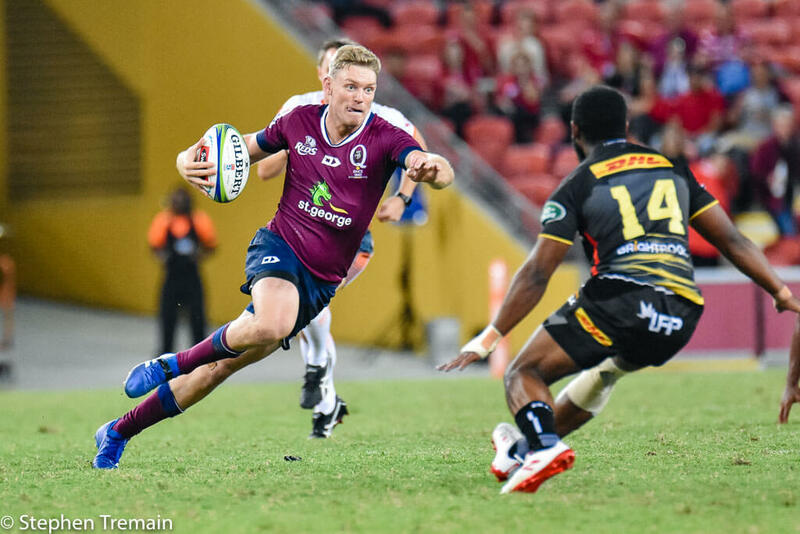 The flanker powered through some QLD defence and looked set to score. He would have too if it wasn’t for the work of replacement half Moses Sorovi who managed to hold him up, with some help from Hamish Stewart. The Stormers had the scrum though, and good position, but a massive shove by Taniela Tupou on Springbok Steven Kitshoff gave the Reds the ball and a break out down the wing. It all came to naught when Paia’aua fumbled the ball in contact and the Stormers would have another chance. The Stormers got their try in the end when a lovely little backline interchange put Springbok centre Damian de Allende over. The rushed conversion attempt went wide but we were still set up for an exciting last 5 minutes. 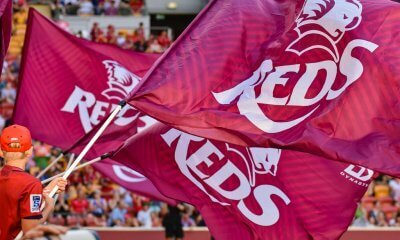 Reds 21-12. Poor Jack Hardy was denied another try opportunity when replacement prop Harry Hoopert decided he had the speed to get over in the corner and was subsequently tackled and lost the ball. The ref thankfully brought the ball back for a penalty midfield penalty which Bryce Hegarty kicked to seal the win. After the snooze that was the first half, at least there were tries to enjoy in the second. The quality of rugby was far from great and probably indicative of where both teams sit on the ladder. The Reds now head off to South Africa and will be likely be looking for wingers with injuries to Daugunu and Naivalu while the Stormers must now head down to Melbourne to face the Rebels in what is fast becoming the tour from hell. Lukhan Salakai-Loto caused plenty of headaches in attack. Clearly the yellow card to Kolisi was the match breaker. The Reds were able to plan for it at half time and raised their tempo to take full advantage. The Stormers were playing catch up after that. Kerevi upped his ante in the 2nd half, and I thought the work of Salakai-Loto and Rodda was excellent. But it was young scrumhalf Tate McDermott who was the spark throughout the game as he continues to impress in the 9 jersey. Salakai-Loto’s running game was much more effective this week as he seemed to get his body height lower. Tupou’s impact from the bench was the best footy we’ve seen him play this year. But, again, McDermott was the man who did his reputation most favours and must be a contender for a wider Wallaby squad position. Yes a couple of offloads went begging that may have contributed to tries. But it is sometimes difficult to tell if the pass might simply have meant the cover defence would have driven the man to touch resulting in a turnover. Higgers should have passed to Kerevi in the midfield. The outside ones were all a bit 50/50. What I thought was pleasing was how the Reds maintained possession by cutting infield and taking the tackle. It happened enough times for it seem like a coaching instruction. If in doubt take the tackle and recycle but hold on to the pill. That time in possession proved crucial in the end. If Phipps even makes the squad I am going to have to question the point of the selection panel. Speed of light in getting this out Reg. McDermott really showed something tonight but gee I wish everyone would stop talking Wallabies so early in players careers. Ive never been convinced about the good enough is old enough argument. Sure some players are magic at 19, like JOC (who was had it by 22) but most aren’t. The successes are the exception. 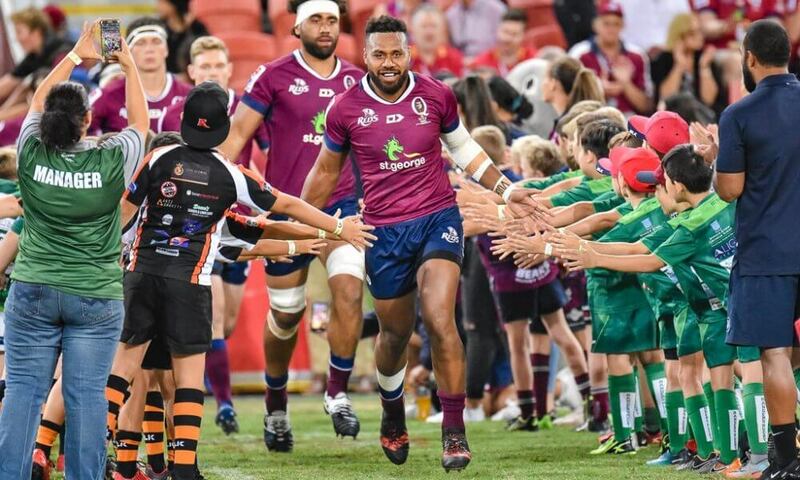 Most players should have to earn national colours through at least 2 seasons. 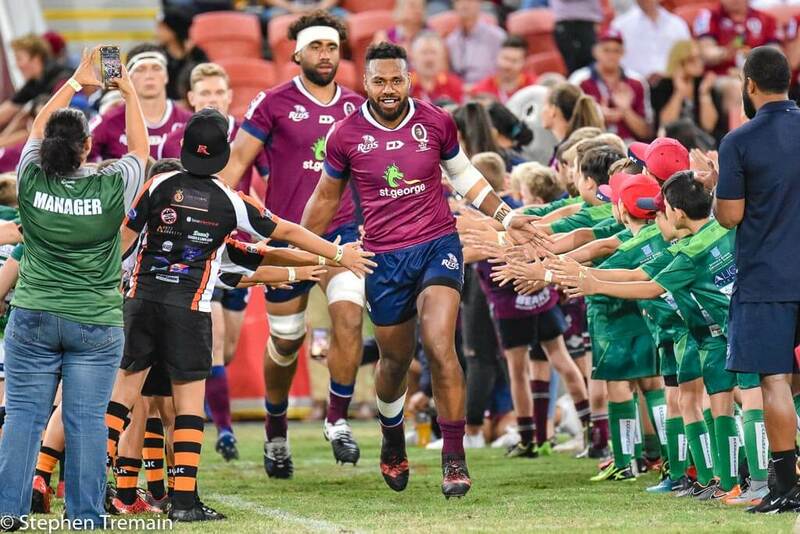 How many games did Kerevi play before he was chosen for Australia? I thought both sides were of a very similar standard and the Reds had the home advantage. The most pleasing aspect for me was the Reds defence. You are right about Stewart. He saved a try on the right flank with a ball and all tackle and then within 2 minutes saved the Peterson try on the opposite flank. When was he last time an Australian fullback saved two tries in 2 minutes on opposite sides of the field? I think that puts paid to any move back to 10. Good call also on LSL. His best game this year. Really put in some work. Reds line out is still unconvincing. The reliable jumpers are Higginbotham and Wright. Rodda and Hockings remain a risk. And the Reds scrum is no longer a weapon so I wish they’d use the ball faster sometimes instead of holding on thinking they will win a penalty only to have the scrum screw and be forced to get the ball out under pressure. Tate McDermott was outstanding tonight. So much energy, pace and game awareness on top of a crisp pass. Really sparked the back line along with Kerevi being the weapon that he usually is. Of course this is all built on the back of the forwards who set a decent enough (though far from perfect) platform off set piece and the breakdown. Great defence in 1st half, attack in 2nd. Kerevi, Hegarty, McDermott, LSL, Higgenbotham, Naivalu, BPA all good. IMO, lineout good, and scrum better than last week. Except Daugunu going off early with an busted wrist/hand. Really hope Kerevi is first choice 12. His pass to Sefa close to the line was first rate. He is not a one trick pony anymore and after Naiyaravoro arguably our only serious wrecking ball type player. Pick him and stick him at 12 please. Less fussed about 13 as any of TK, AAC, or even English will do a decent job and organise the defense. Agree Huw, re wrecking ball. In my fanracies I have Kerevi at 12. In order to make the most of combinations and tactics developed by SR teams, I then have Beale coming on (or moving from fullback) in the last 20 minutes and playing at 12. 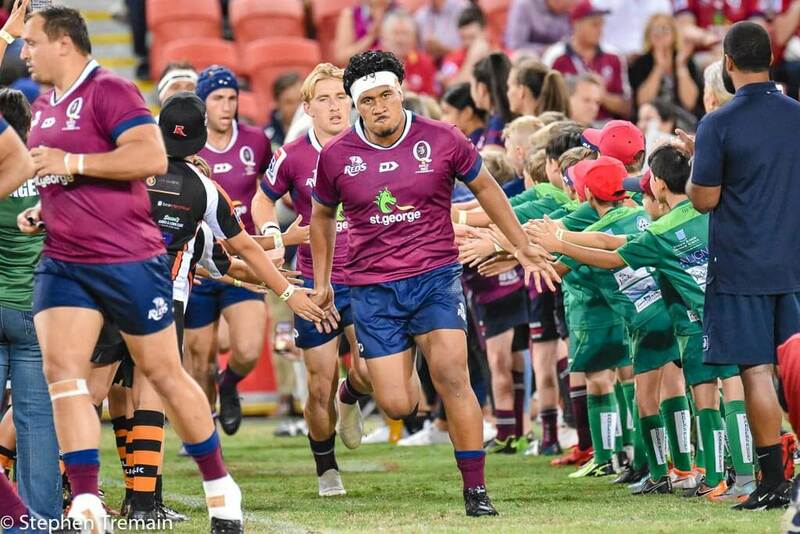 Kerevi would move to the left wing, and they’d play the moves NSW used with Beale, Folau and Naiyaravoro. I think that not nearly enough SR moves/combinatiobs are used by Wallabies, and often they have the same or similar players. I expect that this will change! Who is your 9, 10 combination Adrian? I’m intrigued. What have you seen from this year that makes you think it is even within the realms of possibility that he rediscovers his form at 12 of more than one year ago, at which point he was still a liability in defence? He has bulked up to play 12, and slowed down. I don’t think he has demonstrated anything this year, or on the spring tour 2017, to make us think he is still capable of playing fullback. Maddocks or DHP offer better ball-playing fullback options in my eyes. This will seem harsh but I just want to understand where you’ve coming from. In the match against the Crusaders both teams dropped the ball constantly and there was almost no attacking play? Yeah, according to ESPN stats he completed 3 tackles and missed 4 that match. Did you watch the match last week? Particularly the effort on the first Sunwolves try. It was probably the worst defence I have ever seen. Worse than that, he is actually rushing up and not even trying to tackle at times. His form at 12 was very good in 2018, in attack. But even then his defence was atrocious. Part of the reason we concede so many points. 12 is probably the single most important defensive position bar perhaps 13. 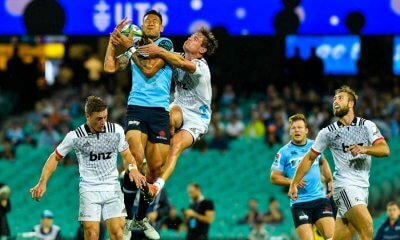 Beale was number 1 in super rugby last year for missed tackles. Just think about that. And that was when he was in much better form. I’m not talking in the end of 2018. I am talking the end of 2017 when he was switched from fullback. He has not had a really good game in gold since the Rugby Championship 2017, and the last reasonable game he had was the first Irish test. Beale is living off past glory, and even at his best he never straightened the attack at 12 and was never good under the high ball at 15. Now he is in worse form, slower, looks unfit and is not even attempting to tackle. If he gets in the wallabies squad with his current form and attitude, it just proves that we don’t reward performance. It’s pretty simple where I’m coming from. I agree his form has slipped, but I don’t agree that it has slipped as much as you think it has. Not really, given you specifically pointed out a match in which he missed more tackles than he made as an example of strong defence. Scratching my head regarding that a bit. No, because he was never as good as he and his supporters thought he was. Never more than half a rugby player because of his atrocious defense. Where he is today is properly reflected in his bench spot for the Tahs. So true. I much prefery selections to at least have the stats to back up the selections. Players like Beale and Foley are living of form from A LONG time ago! Agreed. ….there are far too many players playing consistently better than Beale. Most offer more useable utility aswell! There’s no reason why Beale (if he was in form, which he hasn’t been for over a year) couldn’t do anything he’d do at 12 from 15, even in the last 20 minutes. Why he couldn’t insert himself into the line wherever he wanted, even inside the 12, and why Kerevi then would need to be relegated to the wing, where Beale wouldn’t get him the ball (just as Beale didn’t get Kerevi the ball at 13 playing on the wing last year against Ireland). But bringing Beale on at15 would be taking Folou out of 15 spot. And seeing as he’s the most dangerous try scoring runner from the back in the world…… It just shouldn’t happen. As far as I’m concerned Beale can sit on the Bench (at best) as Injury cover for Folou at 15 and Kerevi at 12. But on form I see Hodge being that player as he covers those and other backline positions! Agree re the McDermott step. We all got spoiler years ago by Hipwell who had an upper body like Kepu. He could pass 30m without a wind up. Nick Farr Jones wasn’t bad. Gordon sometimes does the no-step 1st pass…as does another Wallaby, but it isn’t always accurate! Horses for courses, you need to do it sometimes to engage the defenders, but there are situations that require quick ball and it shouldn’t be done. 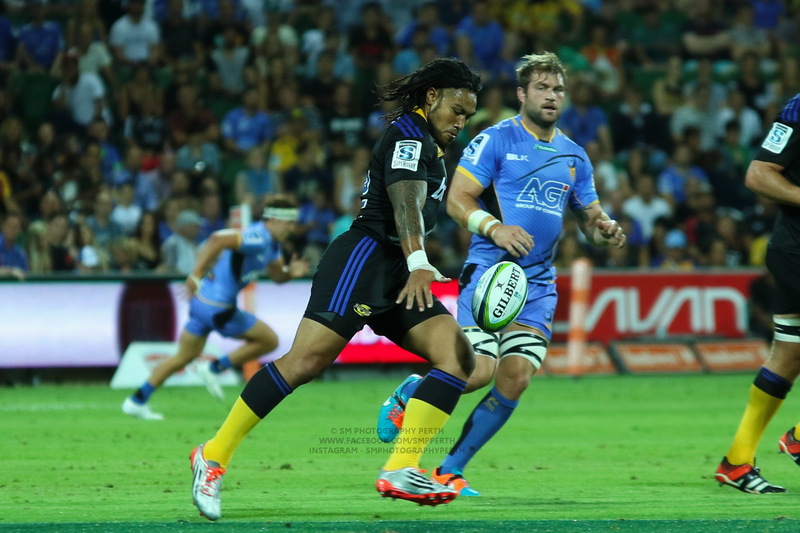 Aaron Smith often takes one or more steps, as does Genia. Perenara does not, and he is far more limited in his game than those two. The issue is when guys have to step to pass. Hope not mate. But he’s still young and can improve his pass! Higgers is pretty unlucky at how well Naisarani is playing this season. He is playing like a guy that deserves a squad birth though. He’s certainly been more impressive than Dempsey as a 6/8 option. Not saying the Reds didn’t deserve the win, just that it could easily have gone the other way. Kerevi is an absolute clown for carrying & placing the ball one handed like that for the first try. Like Izzy, he has good individual stats but also like Izzy, he’s a very, very selfish player. that is one of the more over the top reactions. You think he’s selfish because he put the pull down one hand? Hyperbole is in vogue, Reg. I think someone could claim he was in that moment being stupid but to decree him as ‘selfish’ like a bloke that has not even bothered learning how to pass is preposterous. 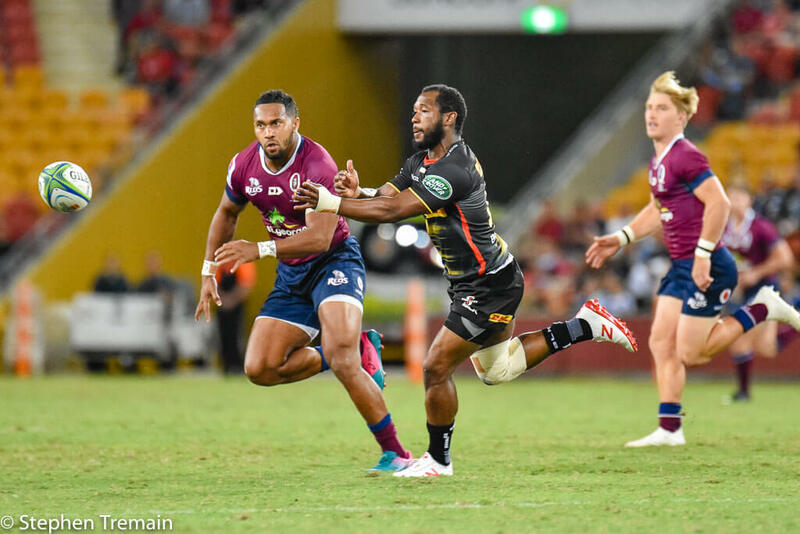 “Selfish” is not a description that comes to mind when talking about Kerevi…not his fault that he is the only line breaker in the Reds and they have one plan in the backs… “give-it-to-Samu” (like the Cheika blueprint…”give-it-to-Izzy”…). Yep, he is one of the least selfish players we have had in years. Especially in the centres after a decade of Ashley-Cooper and Kuridrani. Yep. … with his passing game I think he’s been Coached/encouraged to be selfish and just RUN the BALL SON! No, I think it’s symptomatic of a wider problem. Like Folau, he’s a selfish player, so his personal stats look good but his net effect on the team is far from good. how do you justify your assertion that his net effect on the Reds is not good? You think they would be a better team without him? No, I think he’s useful & I think he has greater potential if he were more team focused. He’s currently very much overrated and the Reds would be served much better if he was less selfish. And it’s not an overreaction to be annoyed at the one handed ball carry. It’s a simple concept to carry a ball securely. It costs nothing and the potential downside of not doing so is match changing. I say the same thing about that idiot, Chris Ashton, and his swan dives. The yellow card was the difference. Without that I don’t think the Stormers defence would have been so exposed. It seemed an odd card given location on the field and how earlier the ref had refused to do anything about the Reds (Higgers I think) deliberately stopping the Stormers from quickly playing a penalty when the Stormers were calling for a card. Cynical play by the Reds. 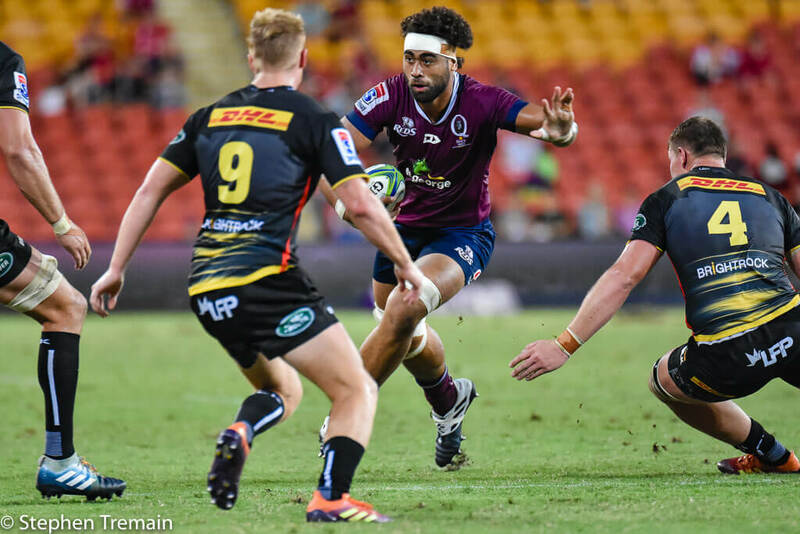 McDermott was certainly lively and very quick and Stewart’s defence was excellent but the Reds still seem to primarily rely on Kerevi as their attacking weapon too much. I thought a few tight decisions went the Reds way, and not just the yellow card and 3 disallowed tries. A win is a win though. Yes the Reds were lucky. It could have gone either way. On that performance the Reds wont go very far in the competition. They are getting grittier though and hanging in against all teams. Agreed Cameron, take the wins whatever way they come. what an ugly match it was… thanks god for fast forward functionality! Yeah pretty poor Win for the Reds! Had the as already covered players who stood out well but everyone else just had average games. Stormers really didn’t offer much that game so I don’t really rate that win very highly to be brutally honest. Any other night the Stormers would have taken that game….. without doing anything spectacular either!